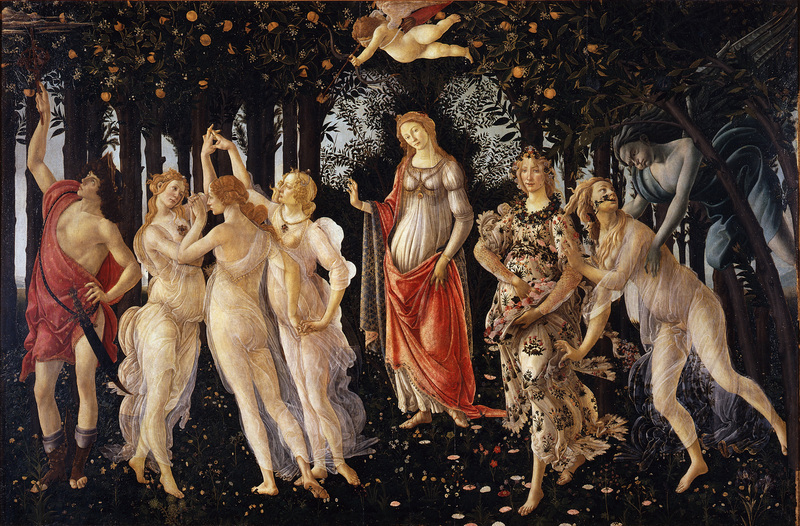 Arguably, the greatest works of art in history are those commissioned by the patrons of the arts i.e. those who can afford it. Without them and their sizable pockets, the Last Supper, the Creation of Adam, and the Primavera may not have existed. The Catholic Church has been the patron of the arts for a long time, as seen in church architecture and decorations of paintings and sculptures. During the Renaissance period, the nobility has usurped the Church’s place for this title. One of the most prominent patrons of the arts was the House of Medici, from which Lorenzo I de Medici, who was also known as Lorenzo the Magnificent, became the patron of artists Andrea del Verrocchio, Leonardo da Vinci and Sandro Botticelli. Today, with the help of the internet, art has never been closer to people. Whereas before, paintings and sculptures were exclusively seen in the manses and chateaus of priests and nobility, museums and galleries have emerged to exhibit works of art to a large number of people. To some extent, the internet is one large network of galleries where people could showcase their works of art. (Whether it is art or not is another question entirely.) And with it comes another form of art patronage. Enter Patreon, a way for you to support the creators you love. Patreon was founded in 2013 by Jack Conte and Sam Yam in San Francisco as a crowdfunding platform to enable fans to support the artist and creators they love. It’s a lot like Kickstarter, but for creators. And who are these creators, you might ask? According to Patreon, they are musicians, YouTubers, web comic artists, writers, bloggers, indie gamers, video producers, authors, podcasters, animators, graphic artists, photographers, or any creator who wants to share their work. Here’s how it works. 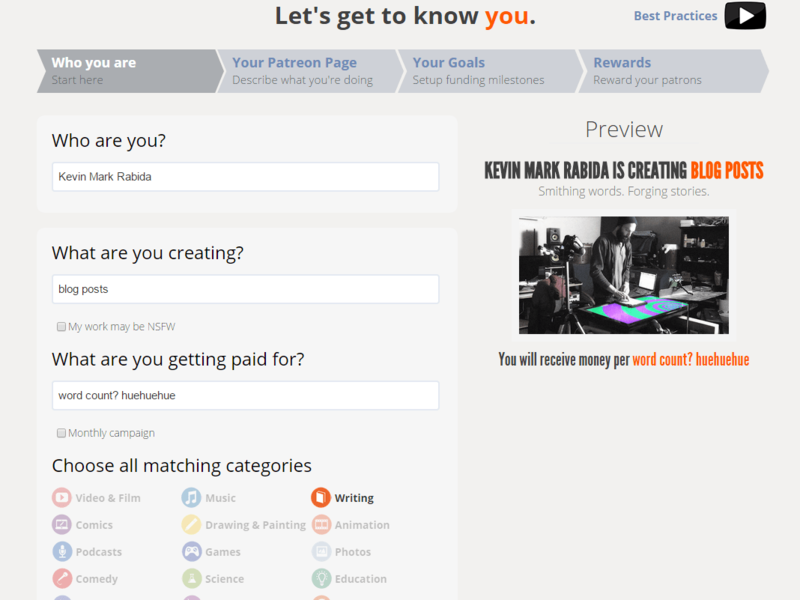 When you create an account in Patreon, you can set your profile to be a patron or a creator. As a creator, you can choose from categories such as video & film, drawing & painting, writing, music, etc to classify your work as well as how you would like to be incentivized. Like Kickstarter, you can set your goals to be funded by your fans as well as the rewards that you can give them for pledging. As a patron, you can sent an amount of tip to be sent to a creator you support every time content is uploaded. You can set a monthly maximum tip to make sure you are on budget. As a patron, you can post on that creator’s stream as well as receive patron-exclusive rewards as the creator’s way of saying thanks. As opposed to Kickstarter which largely facilitates one-time big projects, Patreon is for small projects released consistently. Patreon is very useful when you want to have a steady stream of revenue. It has the potential to pay more than freelancing for example. To be successful in Patreon, however, it would be better if you already have a sizable fan base to start with. It’s all about marketing your work. Creating a social media page of your work for example would be a big boost to revenue potential. Sadly, if you don’t have a considerably-sized fan base, this might be challenging for you. On top of that, you have to live with the stigma from people looking down on you for getting paid for your work. As research for this article, I was reading some comments about Patreon and it seems like there are vocal people who are turned off when artists and graphic designers they like ask to be incentivized in platforms such as this one. I feel that there is a need to speak out. Yes, there are creators who has been doing these kind of stuff for free for the past months or years. Some people look down on creative professionals without realizing that the artwork they do is a product of time and effort, both finite resources. Of course, there are those expenses that need some covering. Thing is, just loving what you do won’t pay the bills. Visit Patreon and start creating and pledging by clicking here. How do you find the idea of crowdfunding for creators? Comment below!